Visual cues are critical in establishing the target audience and setting expectations of an experience with your brand. 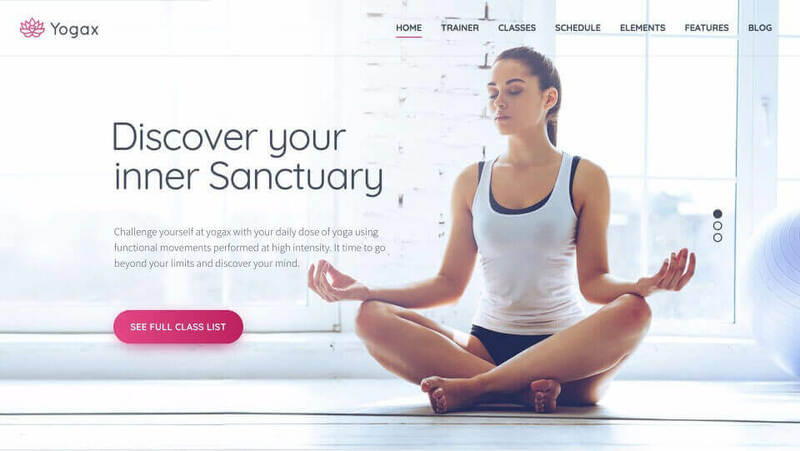 This example of a web design for a yoga studio does that perfectly. The use of soft colors and imagery promise visitors a peaceful and relaxing experience. Standard navigation makes it easy to find details about classes, the schedule and the instructor. Plus, a strong call to action is featured prominently, inviting visitors to check out the full class schedule.